Join me this Labor Day Weekend out on Lake Travis at Oasis Texas Brewing Company on Saturday Aug 30th from 7-10pm. I’ll be spinning good music while you drink fine craft beer. The views are stunning and the vibe on point. It’s well worth the drive. Hope to see you. 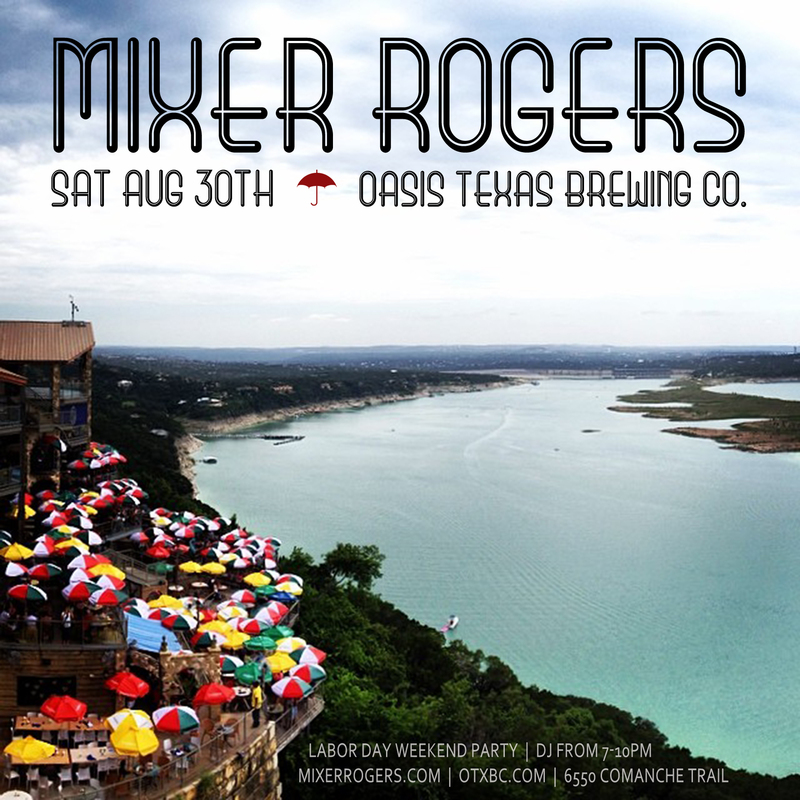 This entry was posted in Shows and tagged Austin, beer, brew, craft beer, DJ, labor day, lake, lake travis, Mixer, Mixer Rogers, oasis, oasis texas brewing company, otxbc, Party, Rogers, Show, views. Bookmark the permalink.